Ninh demonstrating and pitching DocBot at Microsoft Idea Camp. Photo courtesy of Andrew Ninh. Ninh, currently a sophomore, manages this lifestyle by pursing his bachelor’s degree completely online, a delivery mode offered to electrical engineering students in the School of Electrical, Computer and Energy Engineering, one of the Ira A. Fulton Schools of Engineering at Arizona State University. A Southern California native, Ninh is working on his studies from Fountain Valley, California. Ninh’s observations at the hospital were the basis for his emerging health informatics startup company known as DocBot, which enables physicians to make well-informed decisions about patient care—quickly. The technology runs rapid analytics on electronic health record and clinical sources providing physicians with quick and accurate data. “DocBot shatters technical obstacles by sorting, compiling and analyzing a wealth of patient knowledge that only a computer could realistically take on,” said Ninh. Working with his business partner Tyler Dao, a high school friend and computer science student at California State University, Long Beach, Ninh has been accumulating funding for DocBot. 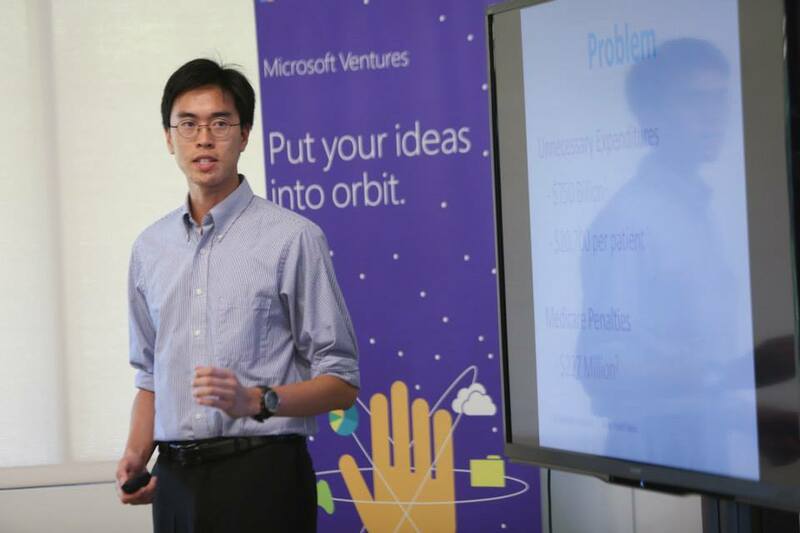 DocBot earned a $5,000 stipend from Microsoft after Ninh’s participation in the Microsoft Idea Camp last summer. The funding is being used to enable further technological developments in the area of user experience. DocBot was also accepted to Singularity University’s Startup Lab Accelerator Program. When the program begins in September Ninh will receive $100,000 in seed funding and a 10-week experience on the Singularity University campus in Silicon Valley where he will further develop DocBot alongside the Startup Lab Accelerator team. Values and Ventures® Business Plan Competition. Photo courtesy of Andrew Ninh. Ninh has also been selected as a 2015 Kleiner Perkins Caufield and Byers (KPCB) Engineering Fellow—a fellowship recently ranked in the Top 10 Best Overall Internships of 2015 by Vault. The KPCB Engineering Fellowship received more than 2,500 applications from more than 200 universities, and Ninh was among the 61 students chosen from 30 schools including Harvard University, MIT, Princeton, Johns Hopkins, Cornell and Stanford. He is the first ASU student to achieve this prestigious engineering fellowship. KPCB is a venture capital firm in Silicon Valley and the KPCB Fellows Program pairs top engineering students with leading startups near Silicon Valley for a summer internship. Starting in June, Ninh will be working full-time with Zephyr Health, a data analytics company based in San Francisco. Ninh interviewed with a variety of companies, but Zephyr Health was his first choice. “They provide data intelligence and insights on life science data, such as clinical trials, which is very compatible with my work for DocBot,” said Ninh. As a KPCB fellow, Ninh’s industry experience is supplemented with events and programming led by CEOs and executives from KPCB portfolio companies and KPCB Partners including Mike Abbott, the Former Twitter VP of Engineering and John Doerr, a legendary venture capitalist who is well-known for helping to build Amazon, Google, Twitter and other companies. 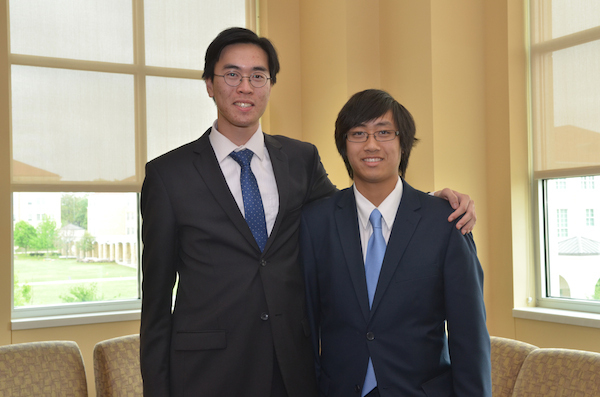 Though a lot of his research interests deal directly with computer science, Ninh chose electrical engineering because it pushes him to understand the hardware side of things. “I think future success relies on being able to produce both the best of software and the best of hardware,” said Ninh. In addition, Ninh is working with the Fulton Schools Startup Center to receive additional support for DocBot. “Like Andrew, some of our most impactful student entrepreneurs have never physically visited ASU, but have accessed classes and support services in innovative ways,” said Brent Sebold, director of the Fulton Schools Startup Center. “Andrew isn’t satisfied with simply passing classes and completing his degree online. He wants to change the world for the better and that’s what being an ASU student is all about,” said Sebold.